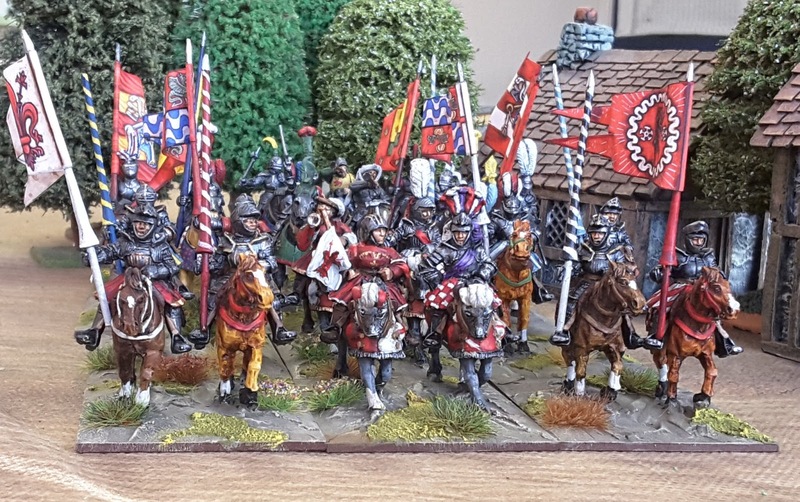 It took a while to get this unit finished but then there are 60 28mm figures, flags and some swanky basing ! 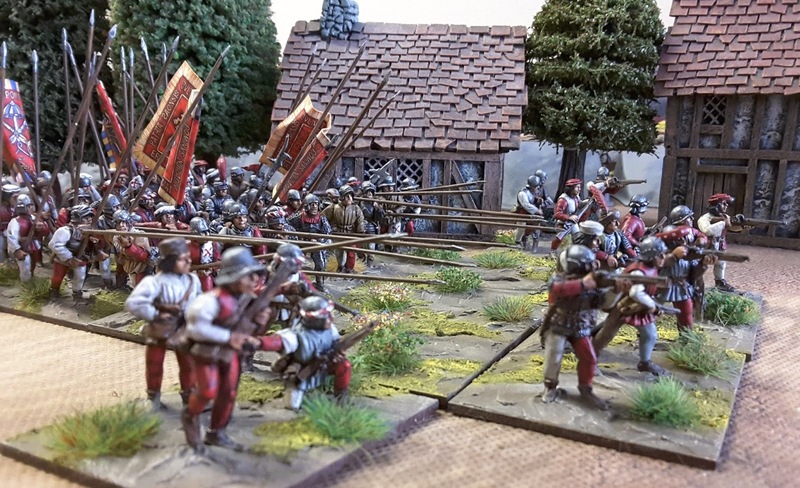 28mm Italian Wars Perrys Miniatures done as a Pike Block of the Papal variety, Julius II to be exact or Rex Harrison if your of a certain age ! Stuff is flying off the paint table at the moment so I am taking advantage of the enthusiasm and cracking on with stuff so there are another 6 Gendarme to add the collection. Bags more photos and details on t'blog. Wow! Those are lovely. Inspirational stuff. Whitphoto, if I bought a Papal Pike Block with PayPal, that would be confusing. Very nice looking figures. It looks like both of our painting tables are full of Italian Wars figures. I am desperately trying to get 500 figures and scenery ready for a club game in April/May. Your painting is inspiring me. Nicely painted but the bases look like rock shale or mud flats. Maybe a bit more green or shrubbery? …bases look like rock shale or mud flats. As for the basing it's all a matter of taste. Any nice green field ain't nice and green anymore after an Army has passed over it. If you Google Tuscan Fields in Winter you get a mass of colours. The basing style is one I have used for years and is detailed on the blog ad finitum after nearly 40 years painting figs I'm happy.